In the vast majority of cases, psychologists cannot prescribe medications to their patients. 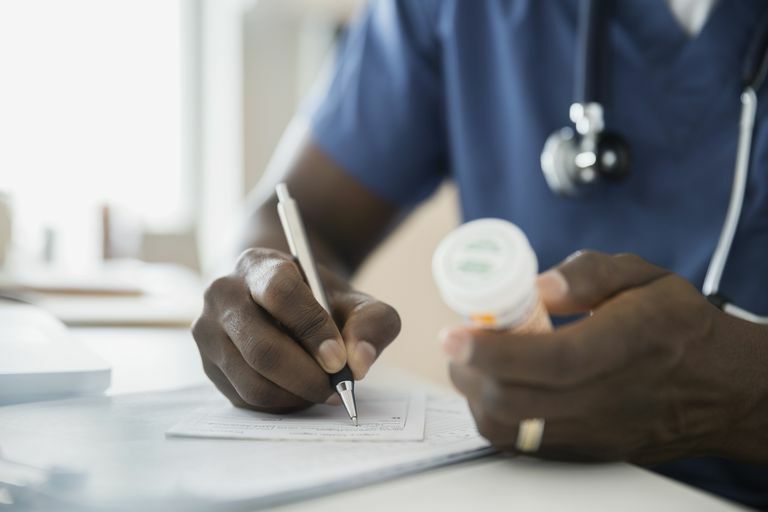 However, there has been a recent push in several states to grant psychologists prescribing privileges and there are actually already a few places where psychologists do have prescribing privileges. Where Can Psychologists Prescribe Medications? Psychologists are able to prescribe medications in the military and the Indian Health Service as well as in Louisiana, New Mexico and Illinois. Professional psychologists gained prescribing privileges in New Mexico in 2002 and in Louisiana in 2004. In 2014, Illinois became the third state to grant prescribing powers to psychologists who hold appropriate training. In such cases, psychologists are required to receive proper training and are permitted to prescribe certain medicines used in the treatment of mental disorders. What Training Do Prescribing Psychologists Have? What kind of training is needed? In Louisiana, for example, psychologists who want to gain prescribing powers must complete a post-doctoral master's degree in clinical psychopharmacology, pass a board-recognized national exam, and hold a certificate of responsibility from the Louisiana State Board of Examiners of Psychologists. In Louisiana: Psychologists must first complete a post-doctoral master's degree in clinical psychopharmacology before they can prescribe medications. In New Mexico: Psychologists must complete 450 hours of didactic training and 400 hours of supervised practice in psychopharmacology. In Illinois: Psychologists must receive specialized training in psychopharmacology. In addition to this training, they must complete a supervised clinical rotation that lasts 14 months and covers a variety of settings including hospitals, prisons, and mental health clinics. Psychologists are not the only non-physicians who have been granted prescribing rights. Advanced psychiatric nurses also have limited prescribing powers in at least 40 different states. Supporters of prescribing rights for psychologists include the National Alliance of Professional Psychology Providers. Advocates suggest that psychologists should be allowed to write prescriptions for a number of different reasons. Today, physicians prescribe approximately 70 percent of psychiatric medications even though they often have limited training and experience with mental illness. Proponents suggest that many people would be better served by a psychologist who can also utilize other treatment strategies outside of pharmacological interventions. Insufficient training in medicine and pharmacology. Risks of side effects of medications. Danger of overlooking medical disorders that might be mistaken for mental disorders. Approximately half of all patients prescribed psychotropic medications also have one or more co-existing medical conditions. Physicians and psychiatrists are better trained to determine when and if medications are needed. APA Practice Central. (n.d.). About Prescribing Psychologists. National Alliance on Mental Illness. (2002). Prescribing Privileges for Psychologists: An Overview. Is the Job Outlook for Psychologists Rosy or Gloomy? What Kind of Training Do You Need to Be a Psychologist?